The St. Louis Science Center has aerospace wing that focuses on space flight and space station information. 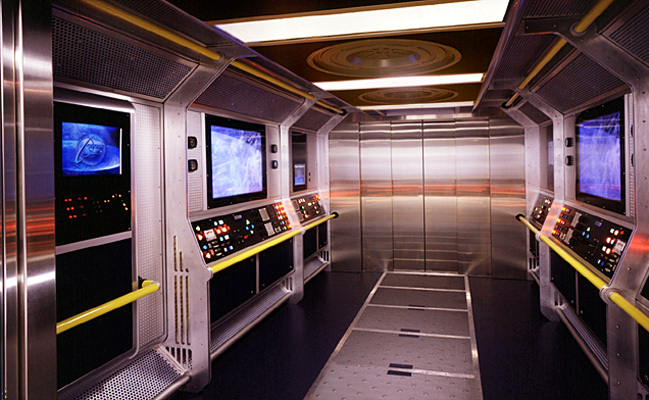 For visitors to get to the exhibit they ride up an elevator that simulates a “space shuttle” lift-off and ride up to the space station. We created audio, video and interactive elements for the ride to give an immersive experience for all the visitors.